Q: Can I begin repairing damages myself, or should I wait for the adjuster first? A: Make whatever temporary repairs you can. Cover broken windows, damaged roofs and walls to prevent further damage. Save the receipts for supplies and materials that you buy, to give to your insurance company. It will reimburse you for reasonable expenses. Keep extra copies of the receipts for your records. Q: Should I get repair estimates? A: Get a detailed estimate for permanent repairs to your home from a reliable contractor and give it to the adjuster. The estimate should contain the proposed repairs, repair costs and replacement prices. Again, keep a copy for your records. Q: What proof do I need to replace my personal belongings destroyed in the storm, such as furniture and TVs? A: The claim will be easier to resolve if you have receipts or proof of what you owned before the hurricane. You likely won’t get an argument if you say you had a few small items destroyed, but if you try to claim that you had just purchased a home theater system or top of the line computer, be prepared to provide receipts or documentation for those items. The best evidence of what you owned prior to the storm is a video tape of the interior of your home, showing all TVs, stereos, etc. with as much detail as possible. Photographs are a second choice, if you do not have a video recorder. Q: Can I get reimbursed for items like jewelry, artwork, furs and antiques? A: Problems can arise when the claim is for unusual items like jewelry, artwork, furs, and antiques without receipts or documentation. You should have separate insurance riders for expensive items, and appraisals for unique or valuable items such as works of art. Receipts and appraisal documentation belong in your safe deposit box. Most homeowners policies exclude coverage for these items, even if destroyed in a hurricane. 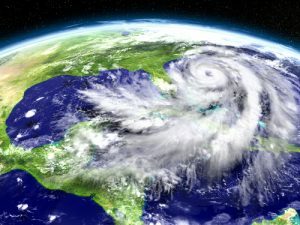 Contact Smith & Vanture, LLP today to answer all your questions in regards to hurricane damage claims.